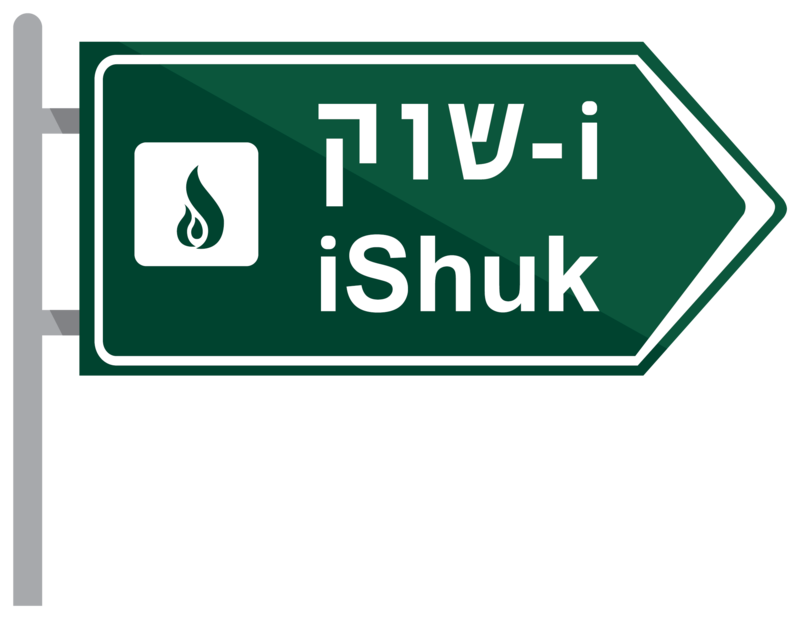 iShuk: JCDS's Center for Innovation aims to bring people together around groundbreaking ideas in order to contribute to the creation of a more equitable and kind world.While iShuk is convened by JCDS, it is limited neither by the school's building or expertise. With the creation of iShuk, JCDS is a facilitators of creativity, imagination, and new thinking. 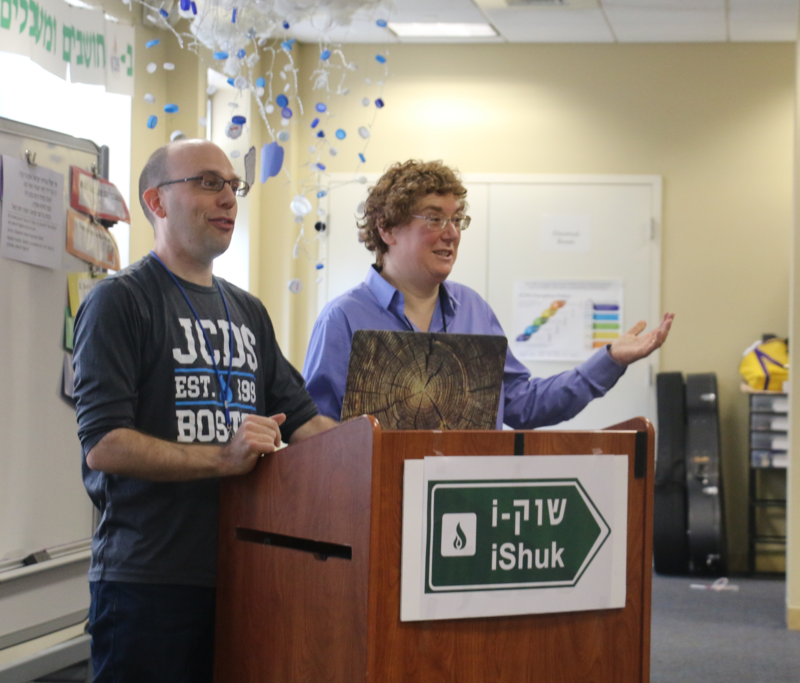 iShuk gatherings will take place wherever people are interested in collaboration, with partners in both the Jewish and broader Boston communities. Like eager shoppers at the Machaneh Yehudah shuk on a Friday afternoon, iShuk participants stroll the bustling 'marketplace of ideas' looking for unexpected interactions, filling their intellectual shopping carts with delicious combinations of ideas to flavor the world while forging connections with partners with whom to 'cook up' meaningful responses to today's pressing challenges. iShuk grows out of the educational work JCDS has been doing for two decades: learning with meaning and purpose towards awe and wonder. It reflects the school's passions and curiosities about the world, and offers an avenue to develop the contributions we want to make to the world. The same rich educational vision that comes to life in the classrooms of JCDS forms the guiding principles at the heart of iShuk: the JCDS Habits of Heart and Mind, growth mindset, risk taking, and collaborating to get to a better outcome than could be achieved alone. This way of being in the world is as relevant to kindergarteners learning to read and write and middle schoolers learning to make their voice heard, as it is to researchers, rabbis, community organizers and entrepreneurs seeking to make a difference. iShuk is a bold attempt effort to share the laboratory of the classrooms with the world and to bring the world into the classrooms. 1. Pluralism: How do we engage with difference? In order to be effective in the world, people need to know how traverse in multiple worlds and creatively build bridges and engage with difference. 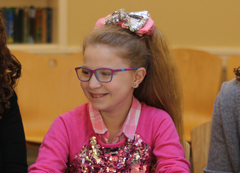 Defined as the inclination and ability to seek out multiple perspectives, make sense of difference, refine and challenge ideas, and grow stronger in both one's own identity and in empathy for others, pluralism is practiced at JCDS, both as an observance and a worldview. 2. Teacher research: How does reflecting on teacher practice improve student learning? Intentional and systematic inquiry, shared in a community of practice, improves student learning and advances the field of education. 3. STEAM through a Jewish lens: How do Jews make meaning and find purpose in the modern world? As we seek meaning and purpose in the 21st century, we see the world through the lens of our Jewish tradition and heritage. In order to be fully engaged in today's world, we are engaged in an ongoing process of integrating our particular Jewish identity with broader civic participation.